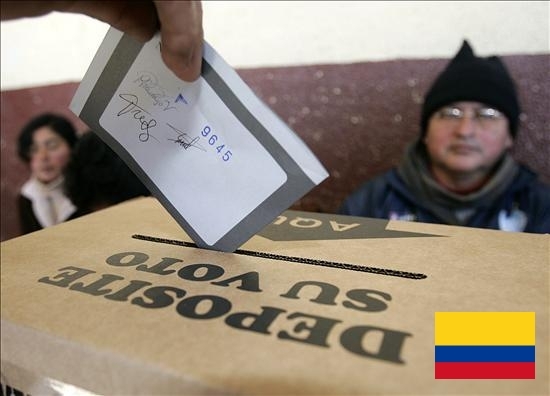 The Colombian Registrar’s Office, politicians and the media have commended the fact that the unofficial results of the May 25 presidential elections were announced only 45 minutes after polls closed, establishing a new national “record”. Although disclosing electoral information quickly is always welcomed, as it deters the possibility of civil disorder and increases trust in the electoral system, it must be noted that the results published in Colombia on Election Day are not official. The valid count is obtained days later after every vote is properly accounted for. As in every other country, authorities receive considerable pressure to announce results quickly. To cope with this public outcry, Colombian authorities resorted to what is called a pre-count system. Pre-counting is the base for the unofficial information delivered to the country on Election Day, and is not strictly related to the official scrutiny. In several past electoral processes the pre-count system has produced different results from the final count. These discrepancies have revealed the flaws and irregularities that often come with Colombia´s manual voting system. It was only last March that the Registrar Carlos Ariel Sánchez himself sustained: “if you’re looking for votes in the pre-count, you’re looking in the wrong place,” when trying to demerit claims by the Democratic Center party stating that the pre-count ignored thousands of votes. By doing so, he called into question the very same system that he is now praising. Not too long ago, during the March 2010 legislative elections it took 127 days for the official results to be published. Throughout all those days, there were elected legislators waiting to occupy their seats. These fluctuations in Colombia’s electoral system reveal the need for a top-down reform. Their manual system and the pre-count used to speed up the announcement of results are only trustworthy in certain occasions. It has proven to be completely inefficient to allow the election of as many posts as the country requires. The relative success of the Colombian presidential elections should not dilate the debate the country requires to get out of its electoral underdevelopment. This process confirmed that Colombia’s electoral problem lies in the system, which can sometimes work well for a manual presidential election but hinders, smears, and endangers some of higher complexity, such as legislative elections. If the country does not take on the challenge of advancing—it already has Law 1475, which enables e-voting—, Colombia’s electoral risk will come at an increasingly higher cost. This is because only an automated voting system that guarantees official and timely results will engage citizens more in the exercise of Democracy. Colombia is not only facing a political duel on June 15th for the presidential second round, but it is also returning to the ballot boxes under pressure from the shadow of fraud and irregularities generated by its manual voting system in 2014, and invariably in each process executed during the last few years. Due to the fact that the political class’s resistance has impeded the country from adopting technology that would allow it to shield suffrage— for 10 years it has not enforced the law requiring it to automate voting—, the Registrar’s Office has taken measures to prevent the same old cheats and misdemeanors from ruining an electoral trust already affected by elections with delayed and doubtful results. The electoral body has provided for the delivery of the pre-count and scrutiny software source codes to the Prosecutor General, somehow replicating some e-voting practices. The codes contain the information for the software to achieve its goal, and the objective of this action is to be able to verify the code’s functionality, as well as verifying that the delivered code is the correct one that will be used on Sunday. Aside from the custody of the codes, Colombia will once again use a biometric identification system to validate voter identity and minimize the occurrence of identity theft. In this occasion, the government has decided to locate the 3750 biometric stations that will be used in areas with the highest incidence of identity fraud. 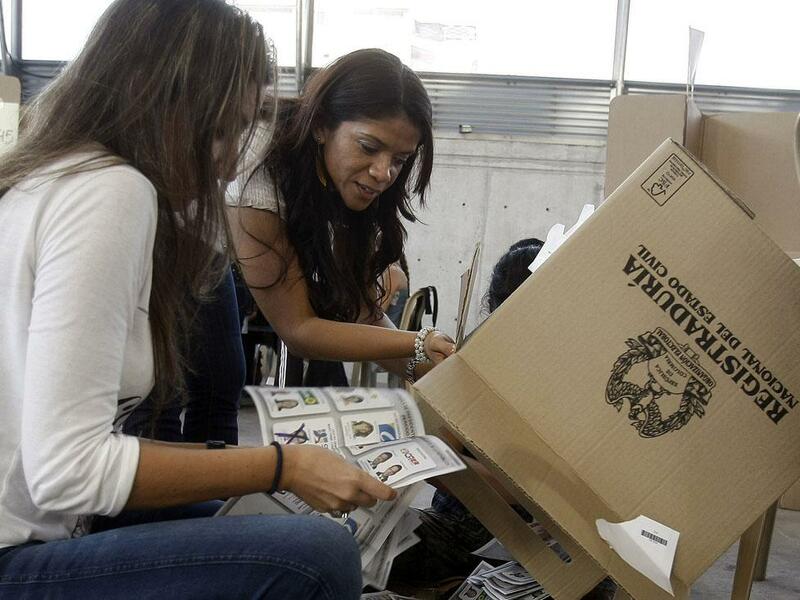 Logistics will be reinforced at pre-count, one of the critical stages of Colombia’s manual voting. With pre-count, the Registrar’s Office does not have to present official results once the day closes, as it delivers an informational quick scrutiny. According to the entity, 33 data processing centers were equipped to carry out data consolidation in order to publish data more quickly. The special measures for pre-count are a response to the fact that in several elections, this process has harmed electoral trust, as the transmitted information did not match the one given by the official scrutiny. Even the National Registrar, Carlos Ariel Sánchez, admitted that this procedure is not reliable, as it can throw errors of considerable magnitude. With the action taken by the South American country, it has become evident that the nation requires changes to guarantee its elections. It is time for Colombia to turn over the page of unofficial electoral results, identity theft, errors in manual counting, and a slow formalization of winners, and finally shield its democratic stability with automated elections. 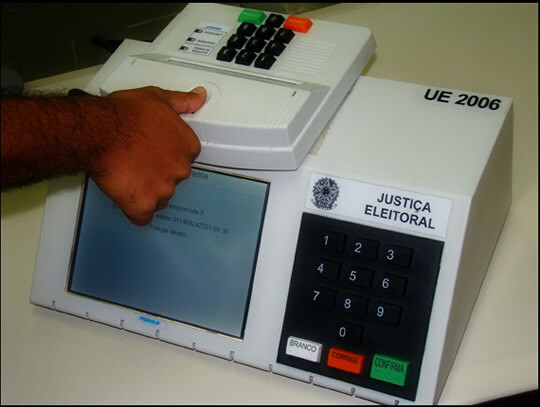 Brazil has an electronic ballot box with a number keyboard and a biometric identification device. Double voting and identity theft are two of the electoral frauds that often smear elections in Latin American countries. However, these regrettable practices are not exclusive of our region. In Europe, they were put under the spotlight after the European Union’s legislative elections on May 25th, when a journalist admitted to having voted on two occasions, as he had dual citizenship and could vote both in Germany and Italy. The illegal action of assuming another voter’s identity or voting multiple times has altered electoral results in many countries, decreasing citizens’ trust in the system and forcing authorities to look for best practices to safeguard suffrage. That’s why, biometric identification—fingerprint scanning for identity verification—began to be adopted in the electoral industry after its ample use in the industrial and business world (for controlling access of people, for example). Nowadays, many countries can serve as an example for the European Union and the nations with no tools to authenticate their voters’ identity. Technology expert companies have designed voting devices that enable the possibility of fulfilling the “one vote, one voter” premise. Two cases worth highlighting correspond to Brazil and Venezuela, which are leaders in the use of electoral technology in Latin America, as they have e-voting models that incorporate biometric identification. 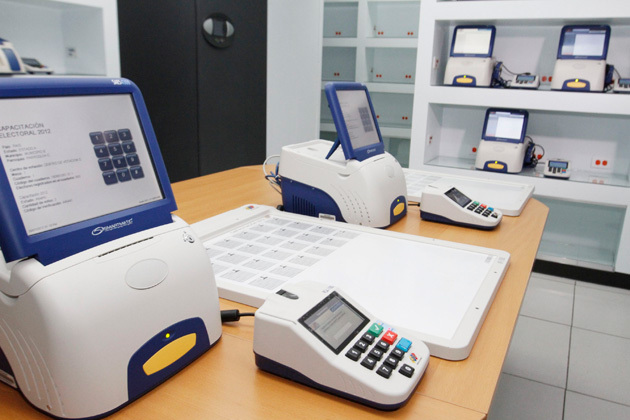 Brazil uses machines with number keyboards to register voters’ fingerprints before voting, while Venezuelans have what they call an Integrated Authentication System (SAI) —a mechanism with fingerprint scanners (biometric identification devices) that enables the machine to be unlocked only after each voter’s biometric authentication. Colombia, which has been trying to automate its elections for many years, has begun the process of technology adoption with a biometric system consisting of devices capable of capturing each voter’s fingerprint (before voting) in order to compare it with those stored by the electoral system. The Registrar’s Office has stated that this technology has proven effective deterring identity theft. A clear demonstration of the effectiveness of this mechanism was offered recently by the Carter Center, which revealed the results of an audit to Venezuela’s SAI for the 2013 presidential elections. The report indicates that the biometric system used “has the capacity to identify multiple voting or usurped votes post hoc (…) and the incidence of these was relatively low,” as only 247 cases were detected out of 15 million ballots cast. Going back to the EU, where thousands of people have dual citizenship, with two passports that enable them to vote in two countries during a single process, biometric identification can be adapted to guarantee elections free of identity fraud. Through the use of technology, the EU can make it clear that by protecting each voter’s identity, it is protecting voting itself.